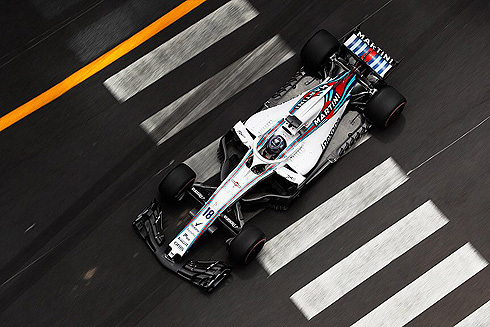 The Williams Martini team after an impressive 10th from Sergey Sirotkin in the first Thursday practice session would see both drivers drop outside the top ten with Sergey 15th and Lance Stroll 19th. Both drivers would again run solely on the hypersoft tyre as they completed longer runs during the session. For Lance his session was again difficult with various issues including one with his knees hindering his runs in his car. 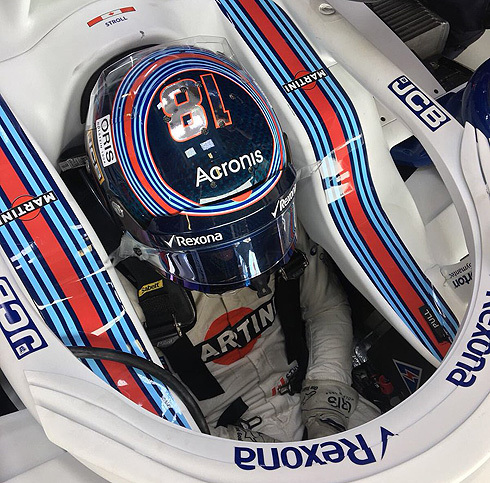 With both drivers focusing on longer runs Saturday practice will be the session that gives a true indication of their pace, despite the fact that it is most likely again going to be a difficult weekend for the team. The early quickest time would come from Vettel with a 1m:14.413 running on the ultrasoft tyre with the start of the second Thursday practice session. He would improve to set a 1m:13.250 followed by Harley and Raikkonen. Vettel had again improved with a 1m:13.180 while we now had Harley and Gasly second and third. After their first runs the Williams pair were 14th and 15th. This would become 11th and 15th as Sergey improved. Verstappen was quickest with a 1m:12.267 running on the hypersoft tyre. He was followed by Vettel and Bottas. But Ricciardo would move ahead of Bottas while Hamilton was 7th running on the harder supersoft tyre. Verstappen would lower his quickest time with a 1m:12.071. But the session would be red flagged forcing everyone to pit. This was caused by the need to complete some repairs to the track around the exit from the Casino Square, Turns 4 & 5. It was a lose drain cover that was the issue. The drain cover would be welded down and the session was able to get underway again. After their first quick laps the Williams pair were 12th and 16th. But they would drop to 13th and 17th. Quickest was still Verstappen now with a 1m:12.035. Vettel was still second followed by Ricciardo, Hamilton, Raikkonen, Bottas, Hulkenberg, Sainz, Harley, and Perez tenth. With thirty minutes remaining the Williams pair were 15th and 19th. Ricciardo was now in second with a 1m:12.053 with Vettel now third. But Ricciardo would move to the top of the times with a 1m:11.841. Both Williams drivers weer running on used hypersoft tyres in what was a longer run on this tyre. Ten minutes remaining in the session as the Williams pair continue don their longer runs still focusing on the hypersoft tyre. With the end of the session the order would remain the same with Ricciardo fastest from Verstappen, Vettel, Hamilton, Raikkonen, Bottas, Hulkenberg, Vandoorne, Alonso and Sainz in 10th. 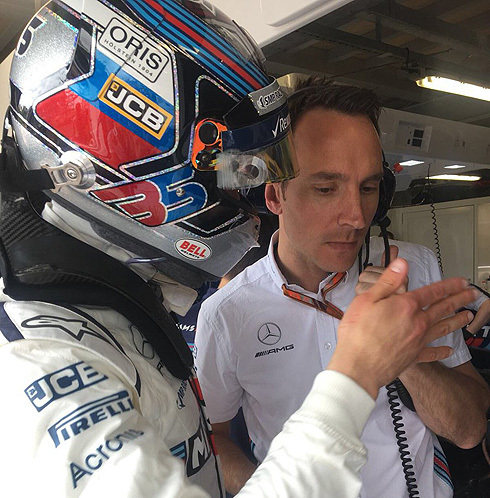 As for Williams they would finish the session in 15th and 19th. The drivers were able to go to the start grid to complete practice starts. Lance would come out shortly after his team-mate also on the hypersoft tyre. Lances' first lap was s low 1m:22.319 but his next lap was quicker with a 1m:14.630 to be right behind Sergey. Lance was currently 15th. He would pit after a short run. He would say that he had touched the wall forcing him to pit where he would drop to 16th. "Give me feedback," would say Lance. The reply he received was "I want your feedback first". Lance would also come out with the session restart on new hypersoft tyres. Lance would drop to 19th but he was on a quicker lap and would set a 1m:14.011 to be 15th. He would drop to 16th. Lance would also pit having completed eight laps. Lance was now 19th as he sat in his pit. Lance would return to the track still on his used hypersoft tyres. Lance was still around 0.4 off the times of his team-mate. Lance would pit having come on to his radio complaining about his knees giving him an issue. But his stop was brief coming back out for the end of the session. It was well into the session, ten minutes completed, before Sergey would come out again running on the hypersoft tyre. Sergey's first lap would see him set a 1m:14.925 to be eleventh. He would improve with a 1m:14.857 to be 12th. A 1m:14.630 would see him go 11th dropping to 14th. Sergey would improve with a 1m:14.456 to now be 11th. He would drop to 12th. With the restart of the session Sergey would be first out for Williams coming out on a new set of Hypersoft tyres. A 1m:14.400 would only be a small improvement as Sergey dropped to 17th. But he was on an improved time setting a 1m:13.630 to jump up to tenth. He would drop to 12th behind Ocon. This would become 13th. He would pit after an eight lap run. As others went quicker Sergey would drop to 15th. He would return running on the used hypersoft tyres. On this longer run Sergey setting times in the high 1m:16s which was very similar to other midfield runners. Sergey would complete the session having completed 29 laps on the hypersoft tyre.